I let my time in New Eden taper off somewhat in the latter half of March. But now a new month is upon us. It was time start earning a few PAP links, the currency that displays your value to your SIG, squad, corp, alliance, or coalition. It is probably the only thing of value I contribute to my own corp, since I am generally nowhere near them in space. 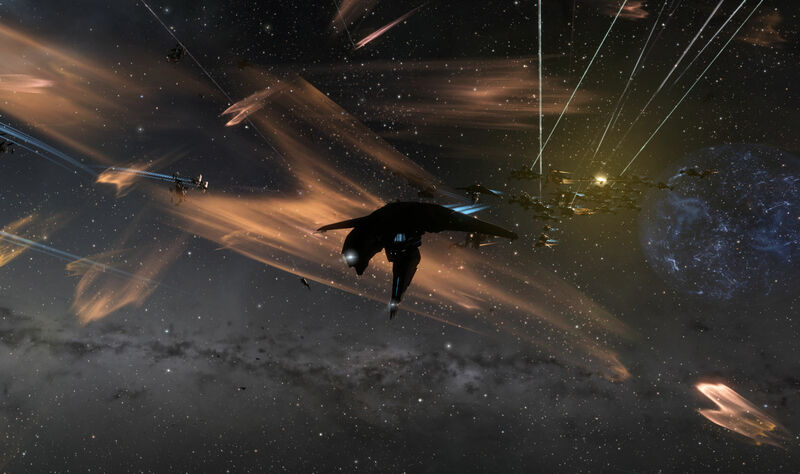 When I left off Liberty Squad… which is something of “Reavers Jr” due to the fact that there is a huge overlap between the two groups… I hear a lot of the same voices on Liberty coms… we were deployed in the east of New Eden null sec reinforcing structures and blowing up ihubs in The Kalevala Expanse so as to keep Pandemic Horde from turning that into a rental income region. Or so I understood it. We have since moved on to a new target. But I didn’t know that when the fleet went up. 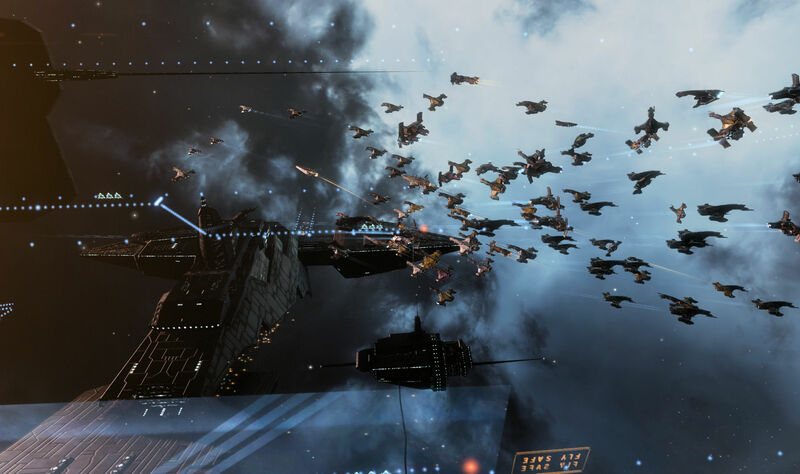 It was Eagles on Zed Starshine and there was a call to be sure to bring structure bashing (read cheap) ammo. Once together we undocked, aligned for the usual gate, and warped off. While I missed the coalition update the last couple of weeks, I understand that there is a wider war going on in the east, to which we are totally not committing as a coalition, but that SIGs and squads are roaming about making trouble for one side. 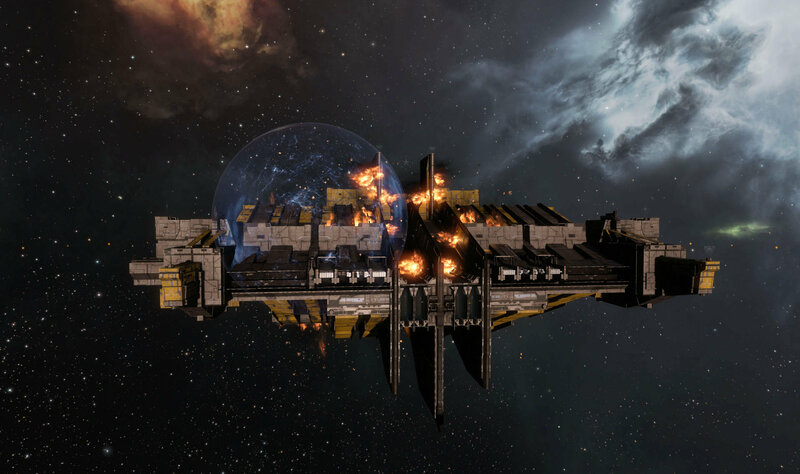 Our target was a Sotiyo, the big engineering complex, the structure one uses to build titans and super carriers, located in the system 5LAJ-8. We were shadowed on the way to the target, and on jumping in we found a large group of hostiles on the other side of the gate. Well, Lazerhawks, who are usually hostile to us. But we were teaming up with them for the structure shoot, so it was going to be one of those evening where one would have to take care not to shoot random reds in the overview. 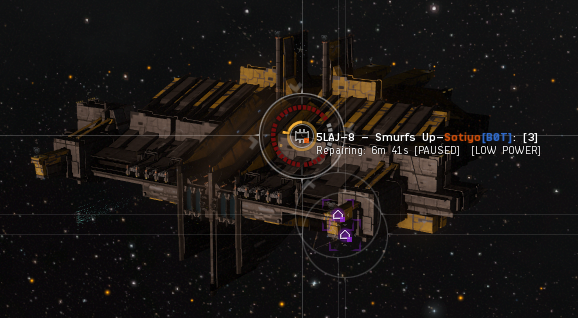 Not that I would have to worry about that, I was in the logi wing in my Basilisk. The timer ran down and to shoot the Sotiyo. It was the hull timer, the final timer, which meant that if we succeeded it would blow up. A kill mail to be had, I launched my combat drone to take a couple of shots at the structure. It was safe enough at that point. The structure was being gunned and it was tossing bombs our way, but that wasn’t enough to keep me very busy as I stayed on anchor. The locals were not going to let us just wander around space dodging bombs and shooting their big structure. 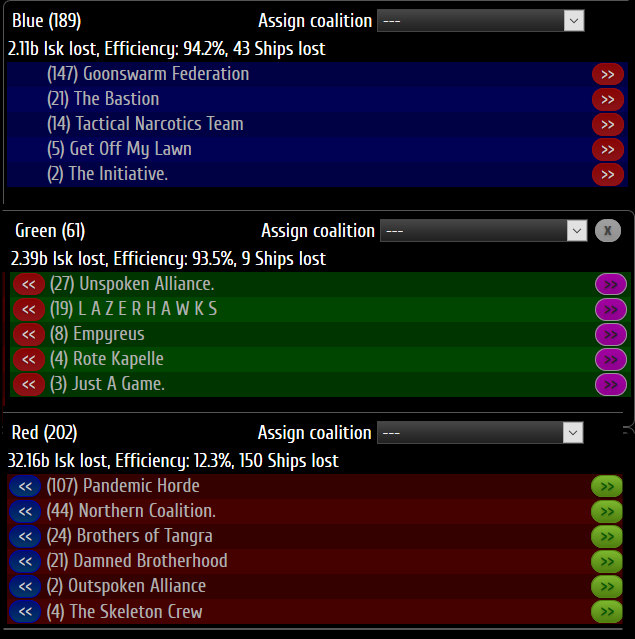 A Pandemic Horde Ferox fleet showed up to challenge us, along with a Hurricane fleet from The Damned Brotherhood, an Eagle fleet from NCDot, and some bombers in the mix. At that point things got very busy for me. I can generally gauge how active I am in a fight by the number of screen shots that end up in the capture folder. There were not a lot in there after we started off. As these things go there was what seemed like a very long stretch of frantically swapping reps onto people, watching the cap chain to ensure I was still giving/getting cap as ECM hit us, and checking to to be sure I hadn’t accidentally clicked in space, a common mid-battle issue for me that can end up with your ship way off anchor and away from the fleet. Somehow I managed as we trailed the FC around the grid. It was very touch and go for a while, with neither side making much headway against the other, but with the feeling that we might break if we slackened our efforts even a bit. While we were repping shields again and again, I was putting out my armor repair drones to pick up some damage that had slipped through shield between reps. I saw a couple of Eagles with damage down into hull, which means they got saved, but only just. And then, suddenly, things bent our way. A Jackdaw fleet joined us and, while they were savaged, they may have tipped the balance. Feroxes and Hurricanes started going down. Soon it was just the bombers and the Eagle fleet to fence with. Cainun, who was anchoring at that point, led the fleet down into the wrecks of the Ferox fleet so people could loot cap boosters, many of the Eagles in our fleet having run through theirs during the fight. The brawl had distracted us from the Sotiyo for a while and the repair timer had run down as fire applied to it fell below the amount required to pause it. It had moved from 15 minutes down to under 7. But now we were able to return our focus to the Sotiyo. We danced around the structures defense, though they turned on the point defense system late in the shoot, killing off my combat drone. But I had gotten a few hits in late enough in the shoot to be counted. After the brawl the defenders declined to come back and the Sotiyo proceeded to blow up. 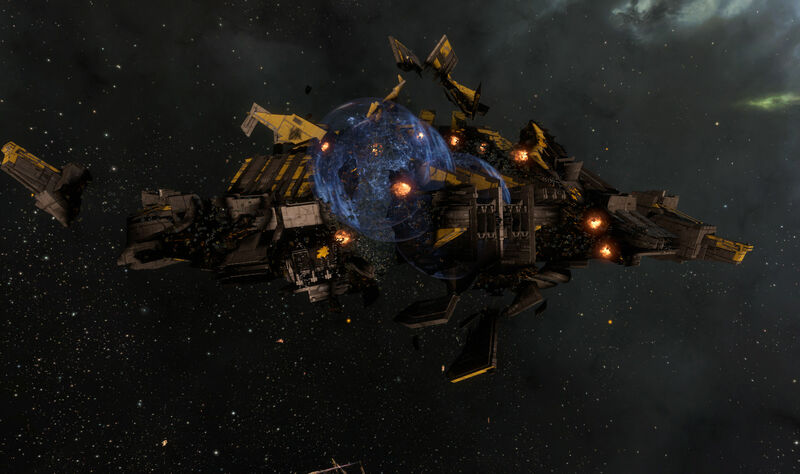 The kill mail showed that it did have a capital shipyard installed. However, the ihub in the system had already been taken out, meaning that the upgrade necessary to build supers was missing so no construction operations were aborted. Still, a nice kill and a good, vigorous fight. The battle report showed things tipped out way pretty solidly. The structure added significantly to that, but we did okay even discounting it. The summary below has us in blue, allies in green, and the defenders in red. After the explosion we collected up on the field and then warped off as a group, leaving the wreck behind us. From there it was safely back to our staging system to call it a night. A good start to the month in space. I suspect we will be visiting The Spire again soon. 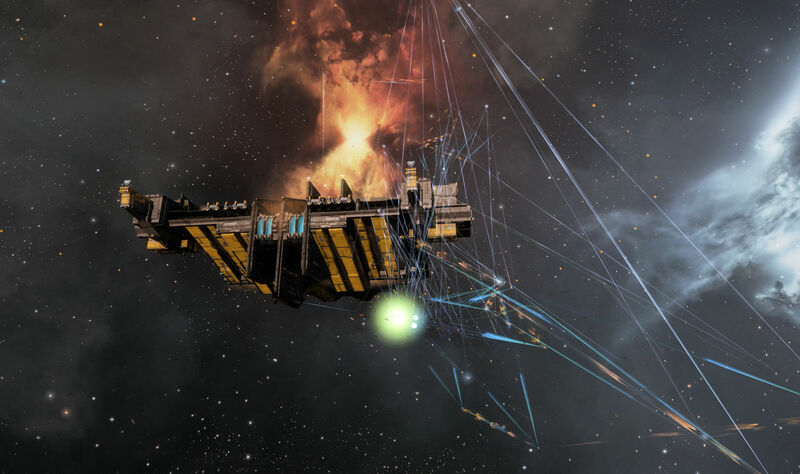 This entry was posted in entertainment, EVE Online, Null Sec and tagged 5LAJ-8, Brothers of Tangra, Cainun, Liberty Squad, Sotiyo, The Spire, Zed Starshine on April 4, 2019 by Wilhelm Arcturus.